These are the books that Planning/Communications publishes. Ordinary people achieving extraordinary dreams! What can you have in common with Lance Armstrong, Tiger Woods, Barbara Walters, Maya Angelou, Yo–Yo–Ma, Harrison Ford, Bill Nye the Science Guy, and astronaut Eileen Collins? The international job search is where the Internet really shines. You'll get the scoop on over 1,200 of the most effective online job and resume databases and directories as well as printed directories, specialty and trade periodicals, job–matching services, directories of employers and professionals, and salary surveys. Learn more about this exciting new resource for finding international jobs. Save 50% — slightly imperfect copies available at half–off. 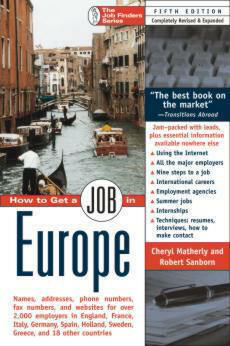 The free bonus book, American Jobs Abroad, is in stock (57 copies left as of December 1, 2009). See pages 321 and 348 of the International Job Finder for details on this $65 value. Paperback only. Hard cover is sold out. Click here for more…. 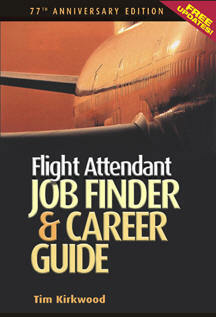 Flight Attendant Job Finder & Career Guide — new edition! Career Opportunity Alert! There is a serious shortage of qualified applicants for flight attendant positions despite the layoffs in light of the tragic and heartbreaking events of September 11, 2001. Tim Kirkwood puts his 27 years experience as a flight attendant to work to reveal the inside secrets of how to get hired. But he does not sugarcoat it. Learn the pros and cons of a flight attendant career. Includes directory of application requirements for all U.S. and Canadian commercial airlines. The free Update Sheet keeps the directory up–to–date. Click here for more…. 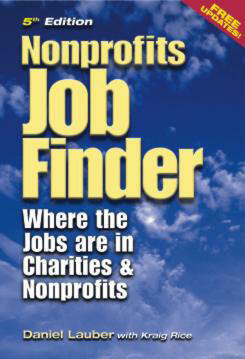 Non–Profits & Education Job Finder (1997) is sold out. Provides details on the best Internet job and resume databases, specialty and trade periodicals, job–matching services, job hotline services, directories of employers, directories of professionals for networking purposes, and salary surveys. Covers the entire nonprofit world including education, association management, community development, and much more. See the Table of Contents for its full scope. This book will be replaced by an all–new Education Job Finder and Nonprofits Job Finder . Publication dates to be announced. Two copies left of the third edition (1997). Call 888/366-5200 to order it. Before they advertise their job openings on the Internet or in print, thousands of companies, schools, nonprofits, and government agencies announce their job vacancies on job hotlines you can call from your easy chair. Includes over 6,500 job hotlines. This is the final edition. Click here for more…. Provides details on the best Internet job and resume databases, specialty and trade periodicals, job–matching services, job hotline services, directories of employers, directories of professionals for networking purposes, and salary surveys. Covers the business world, high tech, health care, media, science and engineering, and the rest of the private sector. See the Table of Contents for its full scope. Only a few copies left. Click here for more…. Can't find everything you want here? Tell us what you're looking for and we can probably get it for you.